The news is out. On Thursday, January 21, the U.S. Department of Housing and Urban Development (HUD) announced the long-awaited final grants for the National Disaster Resilience Competition, which was launched in September 2014. The $1 billion competition involved two rounds of competition that involved substantial assistance to applicants through the Rockefeller Foundation's Resilience Academies, to help communities think broadly and boldly about confronting long-standing issues. At the same time, by using Community Development Block Grant–Disaster Recovery (CDBG-DR) funds under the Disaster Relief Appropriations Act of 2013, HUD limited eligibility to states and communities with presidential disaster declarations between 2011 and 2013. That still produced numerous applicants because only three states had avoided such declarations during that period. In the end, 13 out of 67 proposals won funding ranging from $15 billion in New Jersey to the largest grant, $176 million for New York City. Planning emerged as important components in many of the grants. For instance, the Memphis/Shelby County grant of $60.4 million includes money for a regional resilience plan to translate an existing GREENPRINT plan into a framework for resilience. Shelby County is emphasizing "room for the river" as a result of severe flooding along the Mississippi River and nearby tributaries in 2011. But, says John Zeanah, AICP, administrator of the Memphis/Shelby County Office of Sustainability, there is much more. The overall project actually includes three activity areas: Big Creek, in Millington, Tennessee; the Wolf River, in Memphis; and Weaver Park, also in Memphis. The last example involves planned buyouts of vulnerable homes to enhance flood protection, followed by the use of vacant lands both for new housing, where appropriate, local food production, and the use of open space for flood water retention. Since most of these areas also involve vulnerable low-income neighborhoods, the project enhances social equity as well. At the same time, the overall community gains passive recreational areas that enhance flood mitigation. The overall result is to protect lives, improve the quality of life, and reduce the burden to the communities of vacant and vulnerable housing, all while improving connectivity and environmental values. Not surprisingly, many projects, including the one in Memphis/Shelby County, include extensive use of green infrastructure in an effort to build resilience against natural hazards, most particularly floods. This is an area of particular concern for the Trust for Public Land (TPL), which will be playing a role in the New York City grant, serving "as a partner to undertake green infrastructure park and open space projects that will be capable of managing stormwater, reducing flooding, buffering vulnerable neighborhoods, and protecting existing, vulnerable infrastructure," according to Richard Lukas, Director of Federal Grants and Program Development for TPL. APA previously presented many aspects of the New York program for Sandy recovery with regard to flood resilience in its November 2013 (Sandy anniversary) issue of Zoning Practice. James C. Schwab is the manager of the APA Hazards Planning Center. 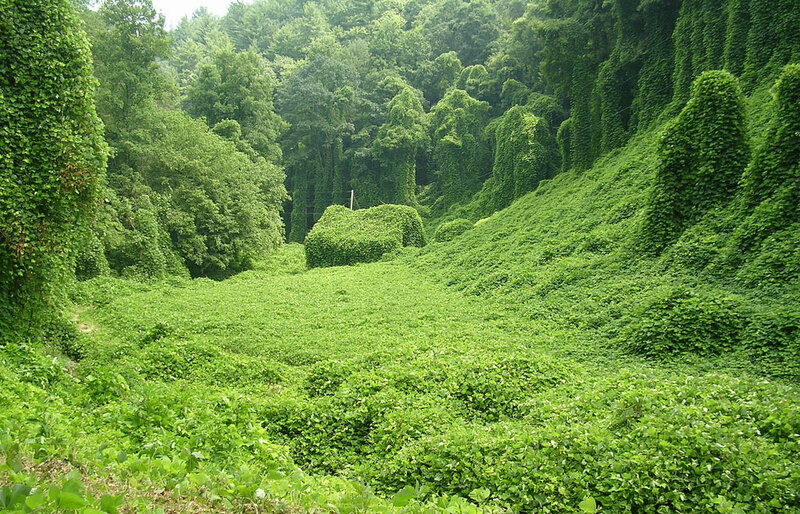 Image: The grant awarded to the State of Tennessee includes funding to replace invasive kudzu with constructed wetlands to reduce flooding. The fast-growing plant can overtake trees and buildings like this barn in Tennessee. Photo by Flickr user Steve (CC BY-NC-ND 2.0).